Absolutely! You can reach us at 1.888.EAHELP1 (1.888.324.3571) Monday through Friday, 8:30AM to 4:45PM ET. When prompted, please select Option 1. We accept Visa, MasterCard, American Express, and Ethan Allen gift cards. You may combine an Ethan Allen gift card and a credit card to purchase a single order, but we cannot accept multiple credit payment methods. We cannot accept order cancellations on any custom-made or custom-cut items after 72 hours of order placement. For all other items that have not shipped, including gift registry items, we will accept cancellations and issue full refunds either to your credit card account or in the form of an Ethan Allen gift card. To cancel an ethanallen.com order, please contact our Internet Service Center at 1.888.EAHELP1 (1.888.324.3571) or email us at orders@ethanallen.com. For items that have shipped, please refer to the return policy that applies. You can either speak with a client service professional at 1.888.EAHELP1 (1.888.324.3571) or email us at orders@ethanallen.com. We will need your order number and details of the item(s) you would like to change or cancel. If your order was placed in a Design Center, you should contact that location to change or cancel your order. It can take up to 5 business days for your cancellation and refund to be processed. A credit will be issued to the original credit card account or if your original form of payment was an Ethan Allen gift card, a new gift card will be issued. Refunds generally appear on your credit card statement within one to two billing cycles. If your order was placed in a Design Center, please contact that location for status updates. You can find Design Center contact information here. All prices and services featured on ethanallen.com are quoted in U.S. dollars, are valid and effective only in the contiguous United States , and are optional with each independently operated Ethan Allen Design Center. I am receiving an error message asking me to contact my financial institution. What is wrong? We currently ship to destinations within the contiguous United States; however, remote areas and island addresses requiring ferry service may be subject to special rates. We do not ship to PO boxes, APO and FPO addresses. Please contact our Internet Service Center at 1.888.EAHELP1 (1.888.324.3571) or email us at orders@ethanallen.com for more information on shipping to an address involving ferry service. We do not ship internationally at this time. If you would like to contact or visit one of our international locations, a list can be found here. Canadian residents, please visit ethanallen.ca. Pickup is not available for items that ship via Premier In-home Delivery; however, should you wish to pick up a UPS item at a Design Center, please call us at 1.888.EAHELP1 (1.888.324.3571). Standard shipping rates still apply. 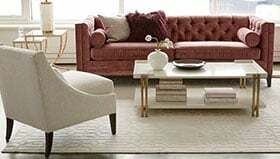 The contact number for the Ethan Allen Service Center that will complete your Premier In-home delivery is included in your order confirmation email. If you are unable to locate your order confirmation email but know your local Ethan Allen Design Center, delivery information can be found here. Custom and clearance items cannot be returned. Items that ship UPS can be sent back to the mailing address on the packing slip within 30 days of receipt. For items that ship via Premier In-home Delivery, a return pickup can be scheduled if the return request is made within 3 days of delivery. Please contact us by telephone at 1.888.EAHELP1 (1.888.324.3571) or via email at orders@ethanallen.com to begin the return process. A scheduling representative will then contact you to set up a pickup time. There will be a 15% restocking fee as well as a pickup fee. See complete return procedure and fees in our purchase terms and conditions. If the item you received via UPS is damaged or defective or you have received the wrong item, please call us at 1.888.EAHELP1 (1.888.324.3571) or send an email with your order number and details to orders@ethanallen.com to initiate warranty service. Our client service professionals are available Monday through Friday, 8:30AM to 4:45PM ET, to assist you. In instances of damage, if you email us, please include photos of the item to help expedite the process. If you accepted delivery of a damaged or defective item or you feel you have received the wrong item, please call the service telephone number included on your confirmation email to request a service appointment. If you are unsure of the number to call, please call us at 1.888.EAHELP1 (1.888.324.3571) or send an email with your order number and details to orders@ethanallen.com. Our client service professionals are available Monday through Friday, 8:30AM to 4:45PM ET, to assist you. If your Ethan Allen product is received damaged or develops a manufacturing defect that is covered by the Ethan Allen Limited Warranty, contact the Ethan Allen Service Center that delivered your order, or call our Internet Service Center at 1.888.EAHELP1 (1.888.324.3571) to speak with a client service professional. Can you assist in the non-warranty repair of my Ethan Allen item? Some Ethan Allen locations offer repair services or can recommend a repair company that clients have worked with in the past. If you are unsure of where your local Ethan Allen Design Center is located, you can find it here. If you are unable to locate your nearest Design Center through the link, please email us at orders@ethanallen.com (be sure to tell us your zip code), and we will be happy to supply you with the contact information of the Ethan Allen Design Center nearest you. Does Ethan Allen reupholster items? We typically do not reupholster items, but that does vary from location to location. Please contact your local Ethan Allen Design Center to see if this is a service it offers. Can I purchase stain or paint directly from Ethan Allen? Some of our Ethan Allen Design Centers have touchup markers on hand and others can order them for you. To order them online, visit touchupsolutions.com. Can I order a slipcover for my existing Ethan Allen sofa? Although Ethan Allen does not recommend the use of polishes on our products, we do understand that, from time to time, you may want to use a polish when cleaning your furniture. Some clients have had success with polishing products from Guardsman.com. Do not use any polishes that contain waxes or silicones. As always, we recommend that you test any product on the back or underside of your furniture to make sure that it does not react poorly with the finish. Ethan Allen is not able to manufacture items using non-Ethan Allen fabrics. Every piece Ethan Allen manufactures must meet our high quality standards, and so our fabrics have been tested to ensure these standards are met. We can, however, manufacture your piece in muslin. This fabric is suitable for an upholsterer to re-cover. Samples of our products can be seen at any of our Design Centers. However, if you wish to order fabric or leather swatches, we have many available here. We also offer rug and wood finish swatches online for select Ethan Allen | Disney products. Swatch information will appear on the product detail page, if available. All of Ethan Allen’s upholstery products are 100% flame-retardant free in accordance with California Technical Bulletin TB117-2013. For more than 75 years, Ethan Allen has been producing quality home furnishings. We are committed to providing high-quality products at the best value for our clients. Ethan Allen owns and operates nine manufacturing facilities in North America, including six manufacturing plants and one sawmill in the United States. Ethan Allen manufactures approximately 60 percent of its products in the United States. Our imported products are designed and engineered by Ethan Allen and manufactured solely for Ethan Allen in accordance with our specifications. Does Ethan Allen have an Affiliate program? Yes, we do. You can find a brochure, contact information, and an application for it here. To be added to our mailing list, please email your mailing address to mailings@ethanallen.com. How do I stop receiving Ethan Allen emails and mail? Gift cards can be purchased here. Please note that as part of the purchase process, a Client Service Specialist will contact you to confirm the shipping address and gift card amount. We cannot take gift card orders over the phone. 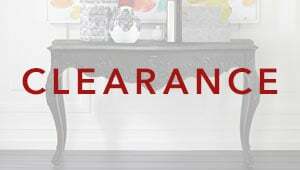 To check the balance on your Ethan Allen gift card, click here or call 1.800.242.5353. Your gift card balance can be applied at checkout to pay for some or all of your order. Gift cards can also be redeemed at participating Ethan Allen Design Centers. An Ethan Allen gift card should be treated like cash. The gift card value will not be replaced or replenished if the card is lost, stolen, or used without permission. You can create or make changes to your existing registry here. A designer at your local Ethan Allen Design Center can also assist you in putting together a registry. Items available for sale on ethanallen.com can be added to your registry online. For more custom options, please visit your local Ethan Allen Design Center.